An MP has said the harm caused to children after their mothers were given the epilepsy drug sodium valproate is an «extraordinary scandal». It is thought about 20,000 children in the UK have been left with disabilities caused by valproate since the 1970s. Norman Lamb MP said it was also «extraordinarily distressing» new research suggested medical problems could be passed through generations. 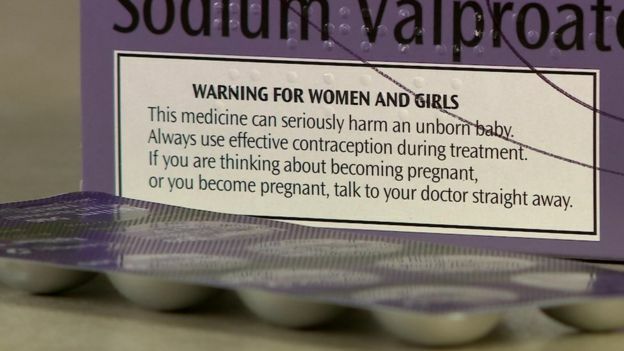 Sodium valproate, also known as Epilim, can be prescribed by doctors as a treatment for epilepsy and bipolar disorder. It carries a risk of causing physical abnormalities, autism, low IQ and learning disabilities if babies are exposed to the drug while in the womb. The Medicines and Healthcare Products Regulatory Agency (MHRA) said the drug is «kept under constant review», while the Department of Health said it expects the MHRA to take further action if a review finds more can be done to highlight the risks associated with it. Many parents have claimed they were not made aware of the risks from taking the treatment while pregnant, even after new safety warnings were introduced in 2016. Sue Jenkinson, from Liverpool, took the drug while she was pregnant and both of her two daughters developed foetal valproate syndrome. 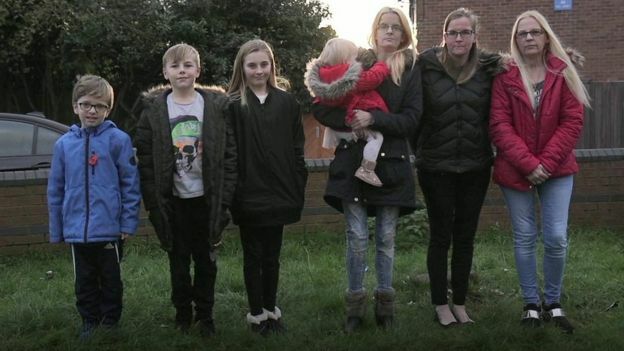 They have since had their own children and they believe they are showing signs of the condition, despite neither taking valproate during their own pregnancies. «It’s because I took that medication, that’s why my kids haven’t got a normal life and they struggle every single day of their lives,» Ms Jenkinson said. Her grandson Ryan has medical problems including dyspraxia, learning difficulties and a bowel condition, and is being monitored by Professor of Clinical Neuropsychology Gus Baker. Prof Baker said he is currently identifying Ryan’s «strengths and weaknesses» and «trying to map them on to what we understand about sodium valproate and how it affects children». «I’ll probably be in a good position to provide a formulation of what I think has happened to him and what we might be able to do to ameliorate those difficulties that he is clearly having,» he said. Mr Lamb, a former minister for care and support, is part of a campaign calling for the government to back compensation claims. «We are in a good dialogue. The minister, Lord O’Shaughnessy, appears to be completely conscious of the need to stop this scandal continuing,» he said. In France, a charity-led campaign is being supported by the government and Mr Lamb has called for something similar «to happen here without delay». The drug’s maker Sanofi said valproate had been «made available to physicians to treat epileptic patients in the 1970s». «It was and still is one of the most effective treatments for epilepsy, a serious and complex disease that can be potentially fatal to patients,» it added. The firm said it was «aware of the challenging situations faced by families with children with conditions that may be related to their mother’s treatment with antiepileptic drugs». However, they said the drug «has at all times been supplied in the UK with a warning of the risk of malformations in babies». Research from Konkuk University in South Korea involving mice has also suggested disabilities caused by valproate could afflict successive generations within families. Professor of Pharmacology Chan Young Shin said he found evidence «the compound could cause autism spectrum disorder trans-generationally». The MHRA has said the study had «many limitations», but some families believe this has happened to them. Mr Lamb said the research into whether the syndrome can pass between generations showed the consequences of taking valproate during pregnancy must be «extraordinarily distressing for the families affected». Any potential help for affected families will probably be too late for Bridget Buck. The 19-year-old, from Stanmore in north-west London, was born with severe medical problems including brain damage and spina bifida after her mother was prescribed sodium valproate. «I do all Bridget’s overall care. I think for Bridget, I talk for Bridget, I walk for Bridget. I live for Bridget,» her mother Karen said. Yet she has been told the speed her daughter is deteriorating means she will probably only have months to live. «Mothers shouldn’t have to bury their daughter, no mother should do that,» she said. A Department of Health and Social Care spokesperson said: «Patient safety is always our priority. We want to make sure doctors give women the right information when prescribing these drugs — that’s why the medicines regulator is already reviewing how effective measures to highlight these risks have been.